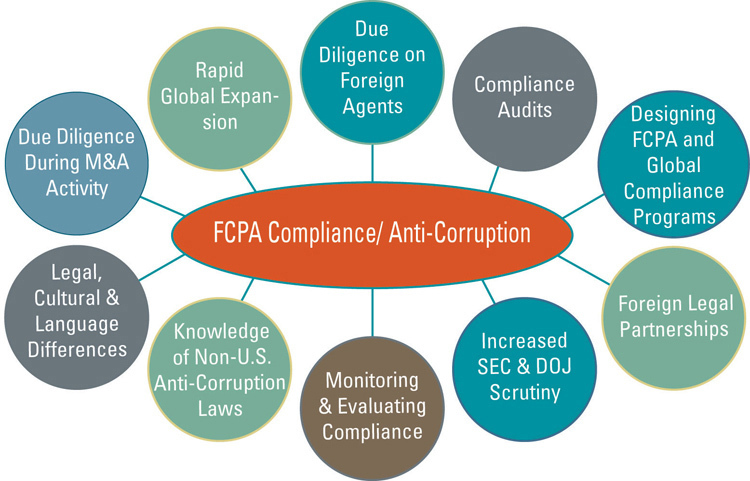 On November 18–21, U.S. regulators attended the American Conference Institute’s 30th International Conference on the Foreign Corrupt Practices Act (FCPA), where they discussed the near-record amount of FCPA penalties in 2013 and disclosed that there are more than 150 ongoing FCPA investigations. Regulators from the U.S. Department of Justice (DOJ) and the U.S. Securities and Exchange Commission (SEC) also explained new developments in cross-border cooperation as well as their efforts to prosecute individual FCPA defendants. The FCPA Unit Head estimated that the DOJ is currently investigating “more than 150 cases” of potential FCPA violations and expects the DOJ to bring “very significant cases, top 10 quality type cases” in 2014. He stated that, while the number of investigations fluctuated due to the issuance of declinations, the DOJ has received a “constant inflow” of violations information, ranging from voluntary disclosures to whistleblower complaints. On November 15, the SEC’s Office of the Whistleblower reported that it logged 3,238 whistleblower tips and complaints in 2013, resulting in a combined total of 6,573 tips and complaints since the initiation of the whistleblower program in August 2011. Approximately 150 of those 3,238 tips and complaints have involved FCPA issues, including “some very, very good whistleblower complaints,” according to the Chief of the SEC’s FCPA Unit. While the SEC has yet to announce any whistleblower awards for FCPA cases, the agency announced its largest award to date—more than $14 million—to an anonymous whistleblower last month. “Over the past five years, we have experienced a transformation in our ability to get meaningful and timely assistance from our international partners. And through our collaborative efforts, the world is becoming a smaller place for corrupt actors. In particular, many of our foreign counterparts have taken important steps this year to strengthen their own anticorruption laws and step up their enforcement efforts. For example, Brazil passed the Clean Company Law, an anticorruption law that, for the first time, imposes criminal liability on companies that pay bribes to foreign government officials. More expansive in its reach than the FCPA, this new law forbids all companies that operate in Brazil from paying bribes to any government official, whether domestic or foreign. In the U.K., the Serious Fraud Office announced its first prosecution case under the Bribery Act. In Canada, the government enacted amendments strengthening the Corruption of Foreign Public Officials Act and prevailed in its first litigated case against an individual for violating this law. And recently, Latvia became the newest country to join the [Organisation for Economic Co-operation and Development] Working Group on Bribery. The DOJ’s FCPA Unit currently has more resources today than at any time before and is working with every major U.S. Attorneys’ Office in the United States on FCPA matters. The addition of human resources, including trial attorneys, paralegal assistance, and translators, has improved the DOJ’s ability to investigate and prosecute FCPA misconduct.